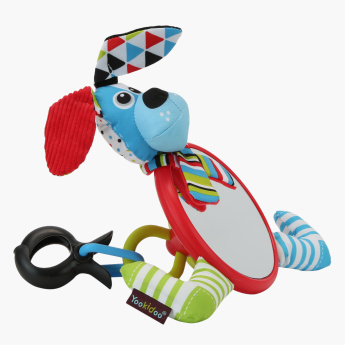 Yookidoo My First Mirror Friend Toy | Multicolour | Features an adorable crinkly dog friend with different textures, a back side teether and a hidden ball for a surprising rattling effect. 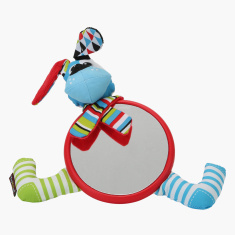 Surprise your little one by getting this adorable baby-safe mirror. This mirror features a crinkly dog friend with different textures. On the back side, this mirror has a teether and a hidden ball with a rattling effect. The large alligator clip helps to easily attach it to your baby’s crib or stroller. Feature 1 : Features an adorable crinkly dog friend with different textures, a back side teether and a hidden ball for a surprising rattling effect.